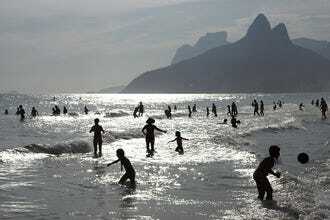 For a romantic Valentine's break that really sizzles, Rio de Janeiro ticks alls the boxes. This jaw-droppingly beautiful city is the ultimate lovers' getaway, with its endless soft sand beaches, its year-round hot sunshine and its sultry samba beats. 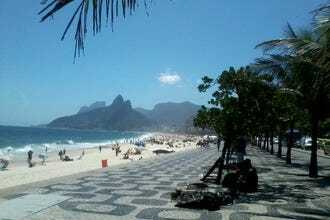 Rio exudes sensual glamor, and there is endless opportunity to dance the night away at Rio de Janeiro's many live music clubs and funky bars. Valentine's Day falls in the middle of the Brazilian summer, and sometimes coincides with Carnival, meaning the party spirit will be in full flow. The best Romantic Rio de Janeiro hotels are truly stunning, and range from iconic beachfront beauties such as the enduringly glamorous Copacabana Palace, to boutique hideaways. 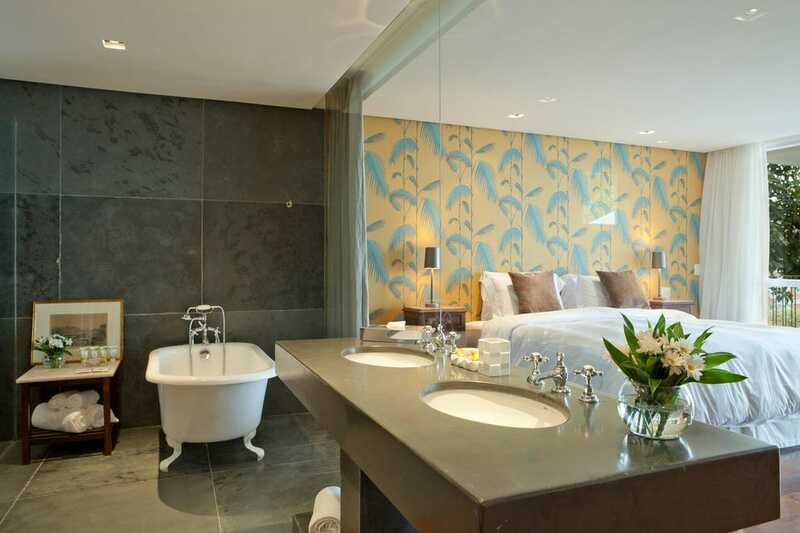 Our top pick - the seriously stylish La Suite Rio - is truly off the beaten track in a millionaire's enclave overlooking the city, and is the perfect choice for anyone looking to escape the crowds. The hillside neighborhood of Santa Teresa also has some of the best boutique lodgings in town, and while they lack easy access to the beach, they do have tropical gardens, attentive service and chic décor - usually at a fraction of the price of beachfront accommodations. 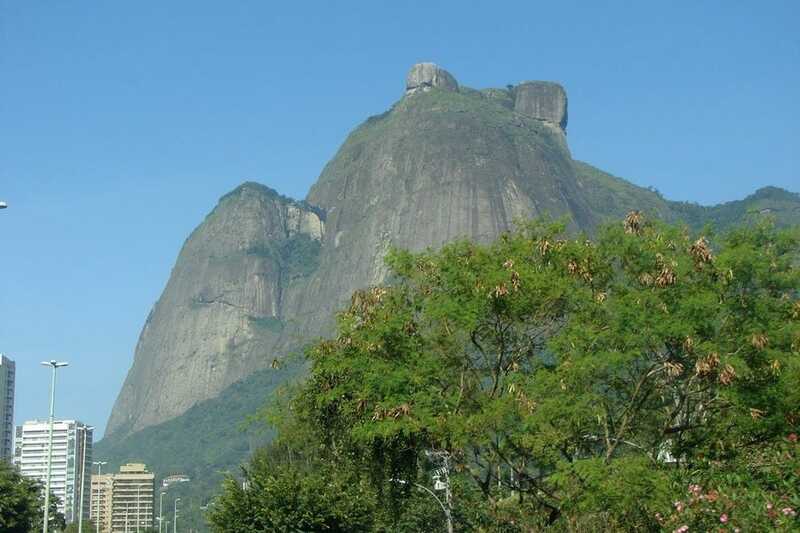 Visitors to Rio de Janeiro often overlook the well-to-do residential neighborhood of Gavea in favor of more famous locations such as Ipanema and Copacabana, but anyone who values space, tranquility and proximity to nature over a famous postcode would be well advised to check out some of the accommodation options in this scenic part of the city. 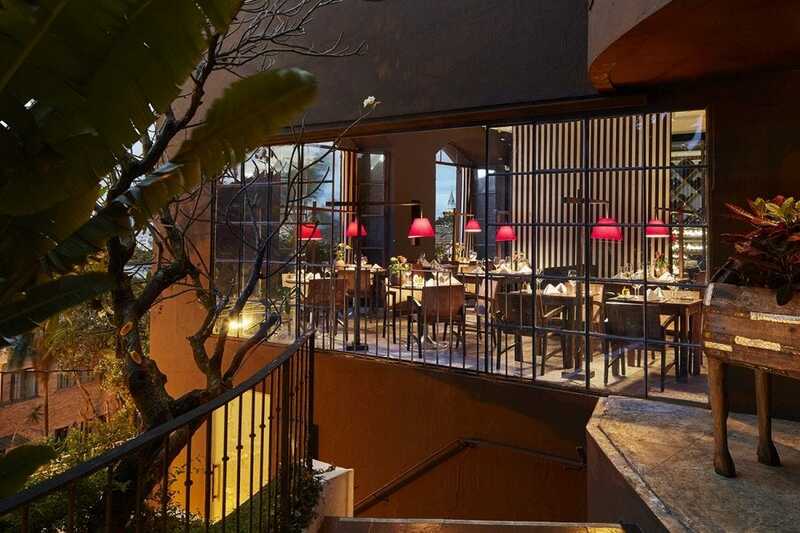 While there are fewer hotels here than in the beach neighborhoods, there are a number of stylish options to choose from, with Boutique Hotel Gavea Tropical being among the best of the bunch thanks to its leafy grounds, stylish decor, friendly service and abundant breakfasts. A seriously stylish accommodation option in the well-heeled, largely residential neighborhood of Gavea, intimate La Maison Boutique Guest House has featured in the pages of style magazines in Brazil and overseas. The setting - a fabulous colonial building set among fruit trees - is stunning in itself, and the French owners have injected a dose of Parisian boudoir indulgence to the interiors, which are nothing if not sensual. Deep red walls and supremely soft beds abound, and the five suites each have large balconies overlooking an inviting swimming pool. 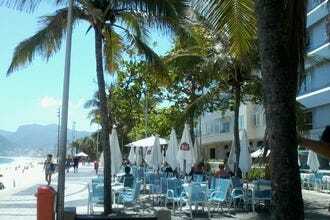 For visitors looking to escape the rush and crush of Rio beachfront this is an excellent option, and there are plenty of good drinking and dining options nearby. Copacabana beachfront is not known for its good value lodgings or its personal service, making this welcoming and affordable guest house a real stand out. The English-speaking owner Marta Miller offers personal tips and advice to all her guests, and the vast shared living spaces are decked out with artsy aplomb. 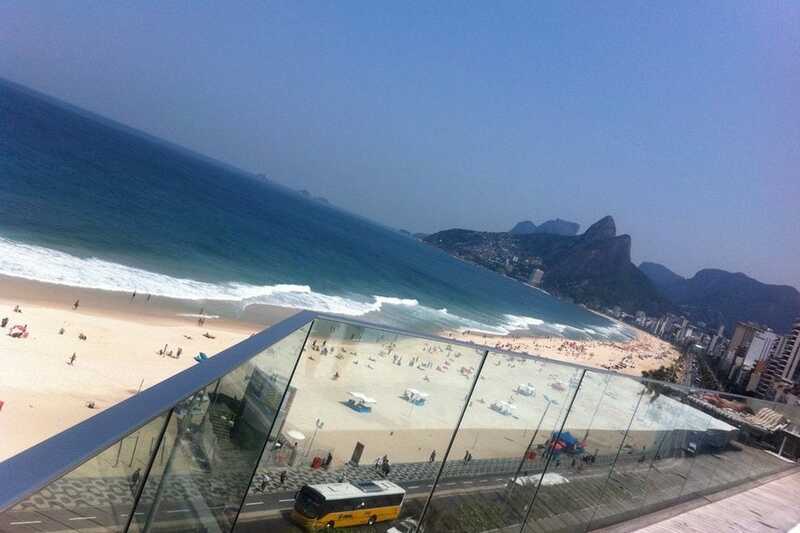 Rooms lack views, but the guesthouse scores serious brownie points for the vast balcony with views right out over Copacabana. 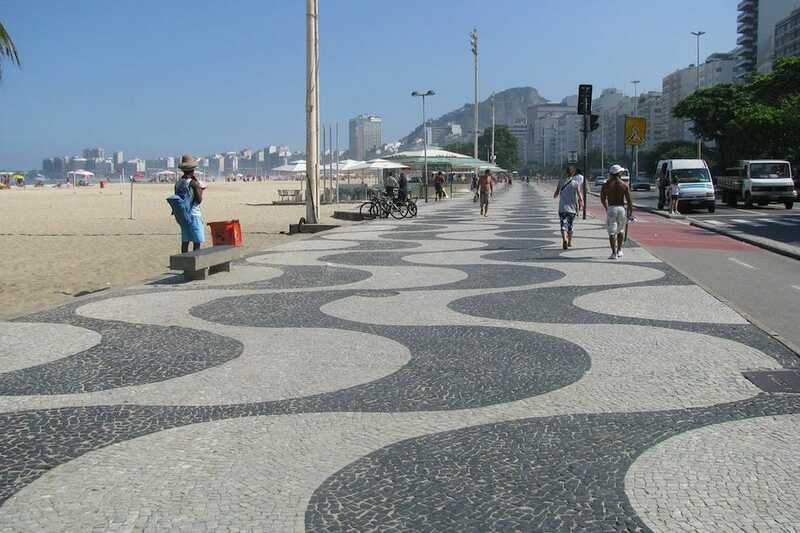 It's just steps from the beach, and right at the Western edge, where Copacabana meets Ipanema, making it handy for restaurants, shopping and nightlife as well as for varying your beach setting. Don't let the name put you off - this French-owned boutique hotel between Ipanema and Copacabana is seriously chic. Stylishly, but not stuffily, appointed, each of the suites is named for a famous Rio native - singer/actress Carmen Miranda and Bossa Nova tunesmith Vinicius de Moraes are among those honored. Shared spaces include a smart living room complete with abundant art, travel and fashion book; gorgeous tropical gardens; and a roof terrace with bar, pool, and views out to sea. Spa services are available. It's a 10-minute walk to the beaches and Metro, and steep stairs mean this isn't ideal for the frail, but adventurous luxury travelers will love the offbeat location. French chic meets Brazilian cool at this super-stylish hillside hideaway in Santa Teresa. The vast colonial mansion sits in verdant gardens complete with large swimming pool, and the French owners have upped the wow factor still further with interiors that have more than a dash of panache. Each of the suites is unique in layout and decor, and the lavish breakfasts served outside under the trees are something to be savored for as long as possible. With a poolside setting this beautiful, you may find yourself spending a lot less time on the beaches of Ipanema and Copacabana than you had imagined. 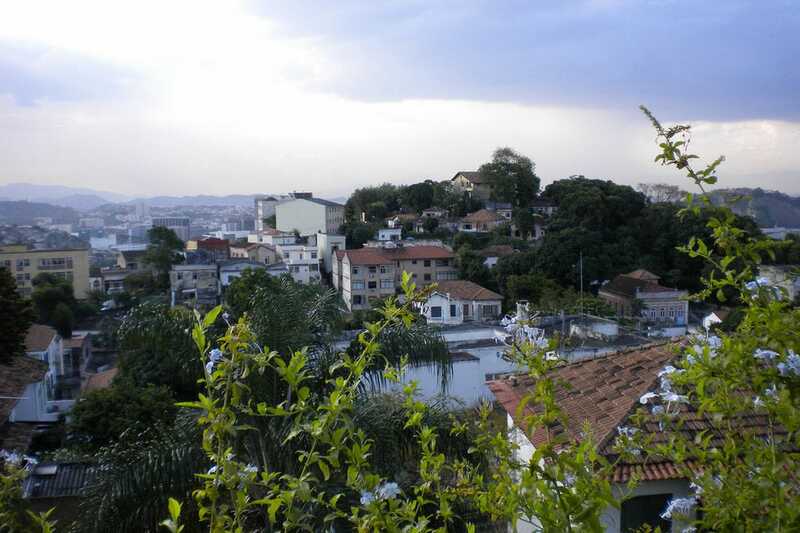 In the scenic, historic hilltop neighborhood of Santa Teresa, Quinta Azul Boutique enjoys a prime location just a few seconds´ easy stroll from the neighborhood´s main square - Largo de Guimaraes - and the strip of lively bars and excellent restaurants that surrounds it. The location is just part of the charm of this beautiful guest house - the swimming pool, leafy gardens and attention to detail in the indoor and outdoor decor all make this a pleasant option for a stay in Rio. The hotel's laid back style has won it plaudits from international travel press, and prices compare extremely favorably with many less charming options along the beachfront. This luxury hotel, complete with palm-fringed pool and acclaimed French restaurant, attracts stylish visitors looking for an alternative to busy beachfront lodgings. 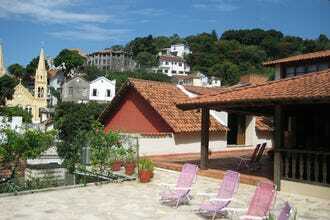 High on a hillside in the artsy, mansion-filled Santa Teresa neighborhood,it's the only five-star hotel in the area, and gained worldwide attention when Amy Winehouse made her base here during her 2011 tour of Brazil. It's now managed by Sofitel, but maintains a boutique feel. This indie-chic neighborhood is full of handicrafts stores and vintage clothing outlets, and its drinking and dining scene is one of the most celebrated in the city. The only beachfront hotel to rival Copacabana in the glamour stakes, the Phillipe Starck-designed Fasano Rio is a fabulously flashy place for a romantic break. Although the frontage is discreet, it masks a wealth of quirky-cool interior design details. 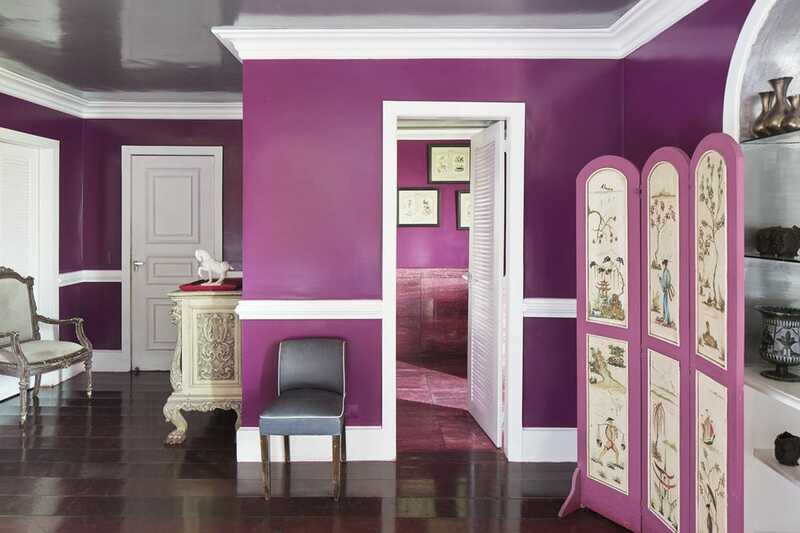 Cool white minimalism blends seamlessly with playful details such as candy-striped pod chairs on each corridor. Goose-feather bed covers and Egyptian cotton sheets up the luxury level and the seafood-focused restaurant Fasano Al Mare, is first rate. The bar, Londra, is a rock-and-roll hangout for high-living celebrities visiting Rio, but the hotel's crowning glory is the rooftop infinity pool with its dazzling views over Ipanema beach. The grande dame of Rio de Janeiro's hotels, the 1920s-built Copacabana Palace is still a byword for lavish living in the 'Cidade Maravilhosa' (Marvelous City). 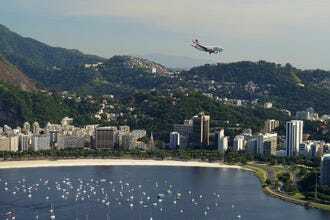 The hotel of choice for A-listers visiting Rio, Copacabana Palace has hosted stars from Marilyn Monroe to Madonna, and the service is as attentive as one would expect of a hotel whose immaculately-attired staff are accustomed to attending the whims of the very rich and very famous. The hotel's three restaurants - Pergula, Cipriani and Mee - are among the best in the city, while the Piano Bar attractd a jazzy crowd of socialites, and the luxury spa offers all manner of pampering treats. 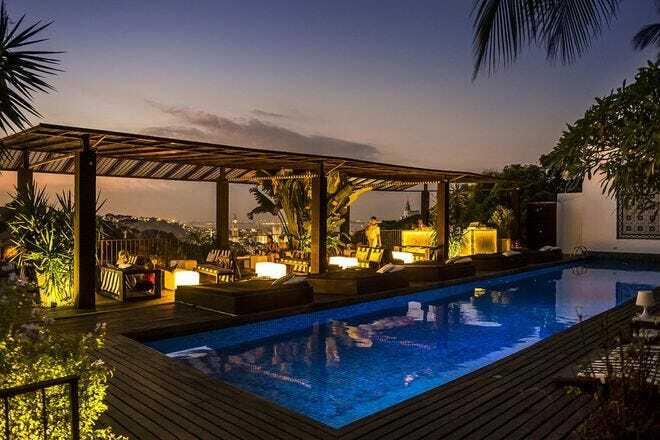 Truly off the beaten track, this hilltop boutique hotel sits high above the city in a super-exclusive neighborhood known as the 'Beverley Hills of Rio'. Each of the suites is themed by color and unique in design, but all feature luxurious touches such as vast double showers and spacious dressing rooms. 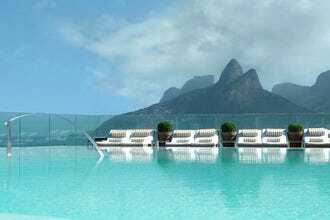 Perched on a clifftop overlooking the Atlantic ocean and Rio's magnificently mountains, the views from the hotel's infinity pool will truly take your breath away. The hotel is a favorite with the international fashion press, who regularly use it for photo shoots. Almost next door, a tiny beach is so secluded that couples will almost feel they have it to themselves.